Google Cloud Printing services have made printing from any device extremely easy. Documents can be printed from across the room or across the world. Secure cloud printing is yet another evolution in cloud based services. There are many apps available that enable cloud printing for both “cloud ready” printers and conventional printers alike. Tablets, smartphones, PC’s, and Mac’s all have apps that enable users to securely print via Google Cloud Printing. Some of the better options are discussed below. This list is not meant to be all inclusive but should provide options no matter what platform someone may be using. The Chrome web browser from Google is cross platform and allows printing of any web page tab simply by pressing “Print” and selecting Google Cloud Printing. Chrome is available on all major operating systems and mobile devices and makes printing from the web to anywhere extremely easy. Keep in mind that this option is only viable for printing web pages or documents created using Google Docs. Locally stored files will require additional apps to connect to cloud services. If using an Android device (smartphone or tablet), there are numerous options available for printing anything through the cloud. All of these options with the exception of the Firefox plugin can be found in the Google Play Store and all have been endorsed by Google as compatible and safe. Cloud Print is specifically designed for printing files from an Android powered device. Anything from emails to text messages can be sent to a printer directly from a smartphone or tablet using this application. The app is free of charge through the Play Store and has received fantastic ratings from users as a reliable solution. PrinterShare Mobile Print is another offering that offers printing options including Google Cloud Print. The app is free to download from the Play Store but it has been reported that the app requires a “Premium Key” to use. This key costs $12.99 USD and is required every time a new printer is introduced. The app itself works very well but the cost is enough to send many users looking for other, less expensive options. Similar to Chrome, Firefox offers an add-on for the browser that allows web content to be printed via the cloud. This option is free and works on standard computers as well as smartphones and tablets with Firefox installed. This option works well but it is not available in the Play Store. It must be downloaded and installed directly via Firefox. Easy Print is also available in the Play Store for free. It is ad-supported but typical users find the ads to be non-intrusive and overall enjoy using this application. Easy Print currently only provides support for Google Cloud Printing but the developer has stated that additional printing options will become available soon. PrintJinni is currently offering users a 30 day free trial available through the Play Store. Although the app seems to get decent reviews, there are numerous users reporting that the hardware compatibility list is not very extensive and also not available before purchasing the app. Use the free trial to make sure the app works with any devices before purchasing a license. iOS devices (iPhone, iPad, etc.) do not have quite as many options currently available to interface with Google Cloud Printing. One option is to use the browser printing (Chrome or Firefox) mentioned earlier. Another option is Print Central Pro. This app is available from the App Store and allows printing to multiple services including Google Cloud Printing. The app is currently $5.99 in the App Store but has received excellent reviews and has been featured on many iOS blogs as a superior printing solution. Any mobile device that has a web browser can access Google Docs. From Google Docs, printing is very simple. This means that even users who may be using other types of devices such as Kindle or Nook can also print to the cloud. Also, any website that displays the Google Cloud Print logo can automatically send the web content to a Cloud Printer. Kodak printers offer a service called Kodak Email Print. This will allow emails and attachments to be sent to a Kodak printer remotely from any device with both email and Internet access. Both Mac and PC users can also print directly from web pages that display the Google Cloud Print logo without ever having to leave the page. Cloud Printer is a free app available in the Mac App Store. It works with Leopard and up and allows users to print from any application on their Mac by using the regular Mac Print menu. 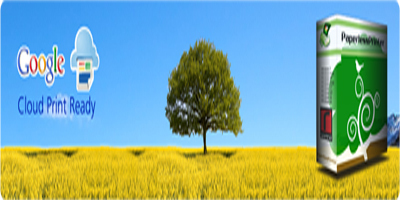 Paperless Printer is a Windows virtual printer that is free for non-commercial use. 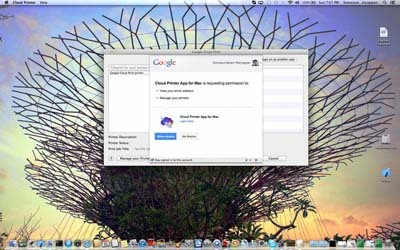 Similar to Cloud Printer for Mac, printing functions are conducted via the regular Print menu and the document can be sent to any Google Cloud printer. This is not meant to be all inclusive and many other excellent choices are available. This list was compiled using apps specifically recommended by Google for use with Cloud Printing and should allow just about everyone to start printing to the cloud today. Victor writes for several tech websites. He enjoys sharing reviews and impressions of newly released gadgets as well as software and games. He currently focuses on virtual machine and cloud computing solutions.